Sculptor Rosemary Gurpide lives and works in Chester CT. She studied at the American Academy of Art in Florence, Italy and the Lyme Academy of Art in Old Lyme, CT. 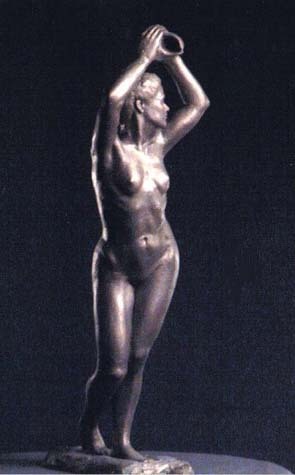 Her classical figurative works available include small Bronzes and Fountains suitable for courtyard gardens. Rosemary is also accepting portrait commissions. You can contact the artist at: gurpidem@aol.com.